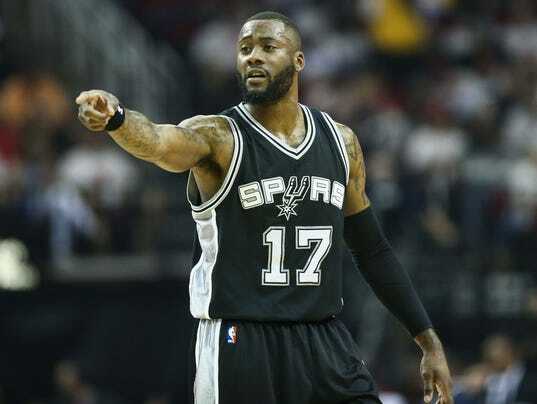 The Orlando Magic and 27-year-old shooting guard Jonathon Simmons have agreed to a three-year deal, a person with knowledge of the agreement confirmed to USA TODAY Sports’ Sam Amick. The person spoke under the condition of anonymity because the agreement had not yet been announced. The Spurs renounced their rights to Simmons — a former D-League player who reportedly once paid $150 to try out for the Austin Toros — on Thursday, making him an unrestricted free agent. Simmons — who made a name for himself with some big performances for the San Antonio Spurs in last season’s playoffs, including a 22-point outing in Game 2 of the Western Conference finals against the Golden State Warriors — averaged 6.1 points on 45.1% shooting in his two seasons with the Spurs. The Vertical first reported the agreement.